We believe that Jesus Christ is the Son of the Living God, who offers saving grace to all who seek it through His Son. The Lord’s Supper, or Communion, is celebrated in weekly worship and it is open to all who seek to follow Jesus Christ. All Christians are called to be one in Christ and to seek opportunities for common witness and service. As Disciples, we are a community that embraces the Bible as central to our understanding of God and our way of life and who are free to follow our conscience guided by the Bible, the Holy Spirit, study, prayer, and are expected to extend that freedom to others. In baptism, the old self-centered life is set aside, washed away and a new life of trust in God begins. Although Disciples practice baptism by immersion, other baptism traditions are honored. Both ordained ministers and lay persons lead in worship, service and spiritual growth. There are no creeds, beliefs, or statements followed in the DoC not found in the bible, and most especially the New Testament. The Christian Church (Disciples of Christ) was founded in the United States in 1832. Seeking to move beyond denominational disagreements, the founders envisioned a united church of Jesus Christ modeled on the New Testament. Today we are over 3,700 congregations strong and still share that vision. 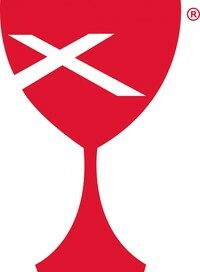 The chalice symbolizes our focus on the celebration of Holy Communion. The white cross is in the shape of the Saint Andrews cross, a symbol of our roots from the Scotish Presbyterians. All are welcome and cherished - and All means All.